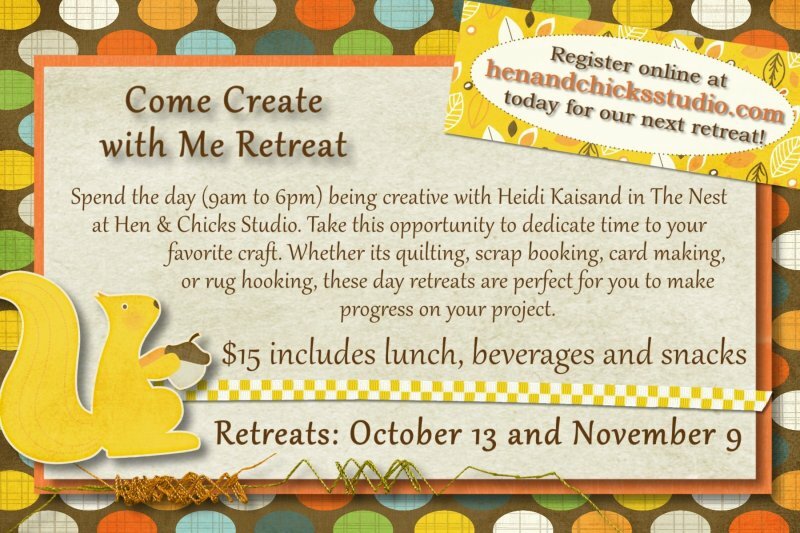 Join us WEDNESDAY for November's Come Create With Me Retreat! 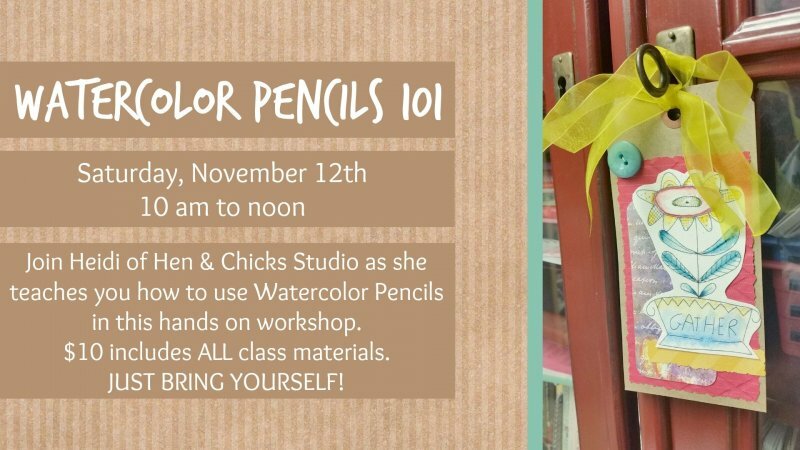 Sign up for SATURDAY's Watercolor Pencils 101 class with Heidi! Click to Hen & Chicks Studio!